14 Lower Pembroke Street occupies a high profile position on Lower Pembroke Street which connects Lower Baggot Street with Fitzwilliam Square. 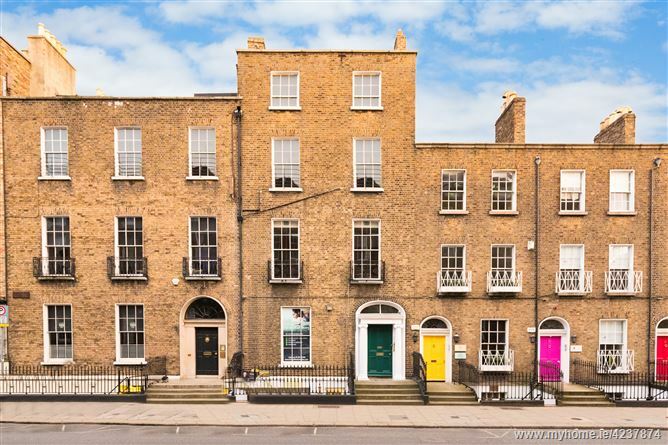 The property is situated in the heart of Dublinâ€™s central business district and is within walking distance of numerous bars, cafes / restaurants and hotels. Merrion Square, St Stephens Green and Grafton Street are all within walking distance. Public transport links are excellent with the DART at Pearse Street and the LUAS Green line at St Stephens Green in close proximity. Numerous Dublin Bus routes also serve the location. The building comprises a substantial four storey over basement Georgian building located 30m from Fitzwilliam Square. The building features generously proportioned rooms, retaining many original features with decorative cornicing and ceiling roses in a number of rooms. The entire extends to 4,699 sq. ft and there is an attractive enclosed courtyard to the rear. The property is mixed use, with a gym to the basement and part ground floor, office and residential uses on the upper floors. The purchasers would also be entitled to become members of Fitzwilliam Square which is a private park for the use of those living / working in close proximity to the Square.